The Toyota Hilux Invincible X received a facelift over the summer, just two years after its initial launch. Only Invincible X models receive the restyled front end, which takes inspiration from Toyota’s North American pickup, the Tacoma. When the eighth-generation Hilux went on sale in 2016, it wasn’t well received in its biggest market of Thailand. Many leading publications in the country criticised the design for being ‘too modest’ which led to a facelift just 12 months after its initial launch. Toyota GB confirmed that the redesigned model would also be coming to our shores at the Commercial Vehicle Show in April. The new design consists of a more prominent grille, a restyled bumper and a vertical cluster for the fog lights, although the headlights and LED daytime running lights carried over from the current Hilux. Inside, the dashboard and specification remains identical to the current model. 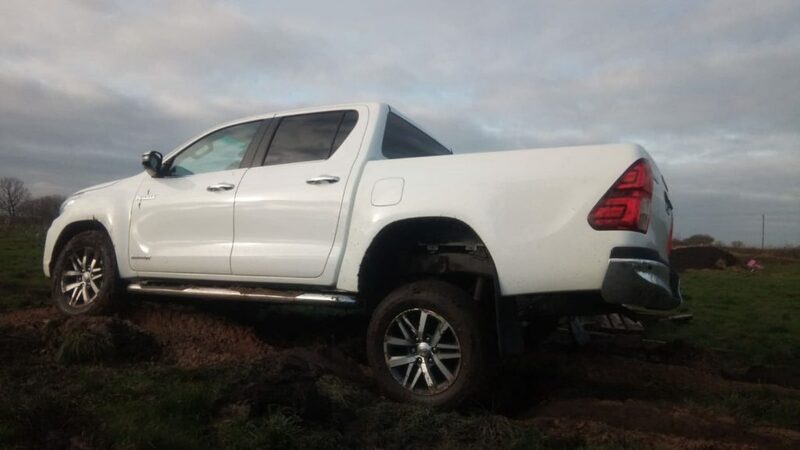 Elsewhere, it’s business as usual for the Toyota Hilux. The same 2.4-litre engine (hooked to either a six-speed manual or six-speed automatic) remains as the sole powerplant option which can develop up to 150hp and 400Nm – which is the least powerful in the pickup sector. Toyota was keen to quash rumours that the larger 2.8 litre engine – available in all other Hilux markets outside of Europe – would be coming to the UK. We tested the 2.8 (codenamed 1GD) in South Africa and, asides from obvious extra punch, we found it to be a lot more refined. The Toyota Hilux is very productive, however, with a one tonne payload and a 3.5 tonne towing capacity. The changes to the front end aren’t expected to affect the more utilitarian Active and Icon models. The upgrade is expected to coincide with a slight increase in pricing. The facelifted Toyota Hilux Invincible X is limited to just 150 models for the UK, and is priced at £32,483 plus VAT – £1,300 more than the standard Invincible X. This includes Toyota’s standard warranty of 5 years or 100,000 miles.